There has been a shift in the paradigm of management of post-myocardial infarction ventricular septal rupture (MI VSR), with many authors reporting improved prognosis if the surgery can be “optimally delayed.” Timing of the procedure is of critical importance and our management (UPMS), and prognosis scores (UPPS) have proven to be relevant. However, long-term outcomes and their correlation with our scores had not been analyzed. In this study, we present our long-term results of post-MI-VSR repair and their correlation with our prognosis score (UPPS). Seventy-one patients with post-MI VSR repair (2009–2017) were retrospectively studied. Patients were managed using standard institute protocols. The 30-day mortality was 56% (n = 40). During a mean follow-up of 4.91 ± 2.43 years, there were eight late deaths. Actuarial survival of 30-day survivors was 87% at 1 year, 74% at 5 years, and 69% at 10 years. Actuarial freedom from major adverse cardiovascular events (MACE) was 82% at 1 year, 72% at 2 years, and 72% at 8 years. The UPPS score predicts late mortality with sensitivity of 75% and negative predictive value of 84%. Our prognostic score (UPPS) helps not only in predicting early mortality but also in identifying the patients who are likely to live longer. The management score (UPMS) also provides best timing for the procedure, which is helpful in optimal utilization of resources in the developing world. The accuracy of these scores is reasonable and may be helpful in the decision-making in this difficult subset. This study does not involve the use of any animal. Also, in the case of patients, all procedures performed in studies involving human participants were in accordance with the ethical standards of the institutional and/or national research committee and with the 1964 Helsinki declaration and its later amendments or comparable ethical standards. Written informed consent has been taken from patients, and none has been forced to be a part of study. Q1. The authors have suggested a strategy of “optimal delay” in surgery for post MI VSR based on UPMS score. However, the early mortality in the author's series has remained high (56%). This is similar or even higher mortality compared with the conventional approach of urgent surgery. The data does not suggest that delaying surgery improves early mortality. Your comments and justification please. Answer 1: The strategy of “optimal delay” in surgery for post-MI VSR based on UPMS score was devised in our previous paper5. We noted that there were no results available in the Indian context and the observed mortality in unselected patients was reported by learned colleagues (personal communication) to be much higher than international results. 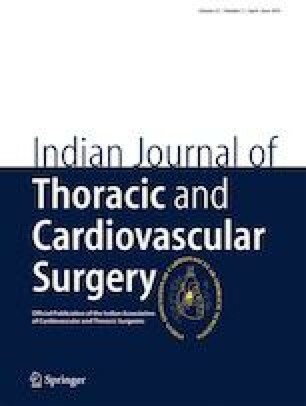 In the previous decade, ECMO use was not as rampant as it is today, also given our perpetual problem of limited resources and early VSRs (due to delayed inappropriate thrombolysis); the mortality of these patients in our country used to be much higher than the western results (which all of us quote). The mortality in completely unselected patients who were successfully managed with strategy of “optimal delay” was 48% (somewhat biased as we have already selected the better patients for an optimally delayed approach), while patients who underwent emergency repair had a mortality of 95%. So the “optimal delay” strategy allows us to reduce mortality at our center without a frequent ECMO use. Q2. The UPPS score is highly sensitive for early death according to the data. However, even the more commonly used Euroscore is good and has a significant weightage in the newly suggested score (UPPS). So, what advantage does the UPPS score have on Euroscore for predicting early mortality? Answer: Yes, that is one question we also struggled with while formulating this scoring system. However, Euroscore is only a prognostic marker and does not advise about the management of these patients. The importance of time gap between MI and VSR and then time delay between VSR and surgery are extremely important, which Euroscore does not consider. The response to IABP is indicative of the myocardial reserve, and Killip score is indicative of the current condition of the patient. Hypothetically, you could have a high Euroscore patient who had a small VSR 2 months ago and survived is currently in Killip class 2 and has elective institution of IABP without any inotropes. This patient would get a favorable UPMS and would go for an elective repair with good outcome. Also, Euroscore considers only two factors—recent or old MI, but the small difference in the duration of VSR to surgery can make a huge difference in prognosis of the patients. Q3. Table 5 and inferences derived from this create considerable confusion. The table shows values comparing mortality with survival in each of the different UPPS subgroups. It should have been comparing mortality or survival in one group with the other. Answer: Yes, 5 is very busy table. Let me simplify the matter with this table considering the mortality only. Q4. In the result/discussion, it has been stated that the difference in mortality in the long run is not statistically significant between the two UPPS groups, i.e., one with a score of > 65 and the other with score < 65. How do you then justify UPPS to predict long-term outcomes? Yes, you are right. It will be difficult to prove statistical significance without having a huge number of patients. However, as we have mentioned, the NPV shows that UPPS cutoff is indicative of prognosis.